A new and potentially controversial article in Urology (the “Gold Journal”) has just suggested that regular, mass, population-based screening of men for risk of prostate cancer every 12 to 18 months remains a good idea. The full text of this paper by Alpert is available on line (along with editorial commentary by Qureshi et al.). Thus, interested readers can review the article for themselves, but we do recommend that they also read the editorial commentary (and Dr. Alpert’s response to that comment) at the end of the paper. They had a set of symptoms that had taken them to their primary care physician’s office and which led to them being given a PSA test as part of a standard work-up to diagnose their problem. They had self-elected to go and have a test for risk of prostate cancer for any one of all sort of possible reasons. They were given a PSA test (knowingly or unknowingly) as part of an annual health check. The fact that these data come from 1998 to 2002 is also relevant. Do the same data from 2008 to 2012 show the same types of result? This is a radically different set of objectives from those in place in 1998 to 2002, and so to a considerable extent the data on which Alpert’s paper is based could be highly misleading. We are not dealing here with a black vs. white scenario. 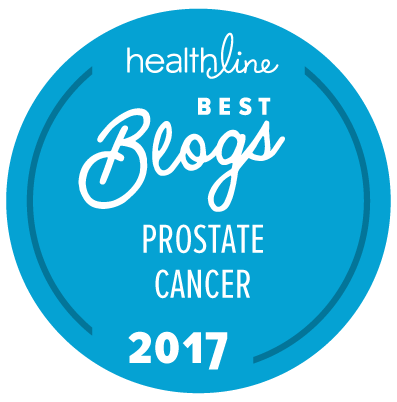 Your sitemaster’s risk for clinically prostate cancer (as just one example) is apparently very different from that of many regular readers of this column. In seeking to determine whether any one particular man has clinically significant prostate cancer, we know that the PSA test is little more than a blunt hammer. It is good for telling very roughly whether large groups of men are at a particular level of risk, but it is near to useless at telling whether a particular individual is at risk. Alpert’s own data confirm this because they show that, as previously quoted, “No benefit was found for men under age 55.” But there are men of < 55 years of age diagnosed with prostate cancer every day of the year, and many of those men can have relatively aggressive forms of clinically significant prostate cancer. No one has ever said that the PSA test is not one of a number of useful tools in making an initial assessment of whether a man might be wise to have other tests to help to decide whether he is at risk for clinically significant prostate cancer. It is. The discussion has always been about whether anyone could produce prospective data from a well-conducted, randomized clinical trial to show that a standardized form of PSA screening could prove that this form of "screening" could actually reduce risk for prostate cancer-specific or overall mortality. The only trial that has ever shown this, as far as your sitemaster is competent to tell, has been the Swedish arm of the ERSPC trial, conducted exclusively in the city of Göteborg at a time when almost none of the participants had ever had a PSA test for any reason. Unsurprisingly, in this particular case, use of the PSA test in this scenario identified a significant number of men with no symptoms of prostate cancer but who had previously undiagnosed, aggressive forms of the disease. How do we get better at finding aggressive forms of prostate cancer that need to be treated early, while they can still be cured? How do we get better at not wasting everyone’s time diagnosing forms of prostate cancer that will never be clinically significant? Somewhere in between those two extremes, there will always be a bunch of men who do get diagnosed with prostate cancer that is not necessarily high risk in nature, and who will always have to make some hard decisions about how they want to manage such conditions in concert with their doctors. This can only ever be done through careful discussions between the individual patient and his physician(s), which is at the heart of shared decision-making. So here is my Kaiser Permenante (KP) Northern California experience ….. I joined Kaiser in 2003. My primary care physician was opposed to PSA testing even though I was what I now know to be high risk … twice measured with a PSA > 4.0 before age 46. At KP I insisted on PSA tests, sometimes with success, other times without. In 2005 I was measured with a PSA of 2.0+ and not measured again until 2007 when my urologist tested me in the course of treatment for a kidney mass. My PSA was 10.4 … so the story began. Not sure how this fits with Alpert’s study. What I can say is that most PSA testing in KP is initiated by the PCPs and their decision is left to their personal professional preference. I suspect this supports Sitemaster’s opinion that the sample is biased. A claim that incompetently ignores the fact that this is an observational study, not a randomized controlled trial. The editors of Urology should be ashamed of themselves for publishing this statement. Appalling. In my opinion: With conventional testing and treatment, I have seen massive amounts of evidence to indicate otherwise. Complications from blind biopsies, continued exploitation/over-treatment of low-risk patients, medical mistakes (the third leading cause of death in the USA), side effects from testing and treatment, etc., etc. I haven’t done my due diligence yet (read through the link) but: “reducing all-cause mortality in this group by 24%.” Huh? When lifetime prostate cancer mortality risk is 3%? I smell some selectively-curated statistics. … and there it is on p. 124: “As discussed in the methods section, the 12-18 months group appeared much healthier”. That makes headlining that overall mortality benefit for screening grossly misleading. “People who screen more often are more healthy, so screening makes men healthier.” I mean, c’mon, really! In fact the error is so gross it leads me to want to look through the data looking for evidence for the hypothesis that healthier mean are more likely to survive a diagnosis of prostate cancer. I’m sorry to keep going, but can someone tell me where I am wrong, because I really hope I am. But as I re-read this very short paper, it seems that all previously untested people are treated as having been tested for cause. Fair enough. But then it seems no adjustment is made for the existence of the cause, i.e., it is far more likely that those people actually have cancer. Making the whole paper pretty dubious. But these are respected people in the Gold Journal. What am I missing? Scientific journals often publish papers that challenge conventional wisdom. I would again point out to you that the editorial commentary associated with this paper calls its findings and its conclusions into serious question. You also need to remember that there is a significant subset of the urology community that is obsessed with any challenge to the concept of using screening to identify men with prostate cancer (for many reasons, but not least among these is the among of business that is driven to urologists in the US by PSA screening for risk of prostate cancer). Thanks as always, SM. The comment was mild and detailed. I am asking about what I see as a fundamental and lethal flaw. Only drifting the topic very slightly, I live in a demographically-challenged area, surrounded by men of my own age. We all have access to private medicine and are generally “healthier” than an average population. It is striking that essentially all of us “have PCa”. Then one who has not (been diagnosed with same) pops up with major spinal cancer. Allegedly secondary, with an as-yet undetected primary. Normally $ gets you donuts it is PCa but presumably not. In the end, you just have to be slightly fatalistic.